We prepare VAT returns and maintain debtors’ and creditors’ ledgers for clients who need a complete bookkeeping service. Outsourcing your accounts work allows you to concentrate on running the business. We submit VAT returns on your behalf, so that all you have to do is send us your records and send a cheque to the Collector General for the relevant amount. It can often be the case that people overpay VAT or make innocent mistakes that can cause interest and penalties to be applied by Revenue. Allowing us to take care of this for you or to run a parallel system to your own removes the stress and hassle of this work. We offer a full payroll service to take the difficulty out of calculating wages for clients who feel their time would be best spent on other work. As with VAT returns, we submit all PAYE/PRSI returns on your behalf. All that you have to do is communicate the relevant wages to us and we will do the rest. 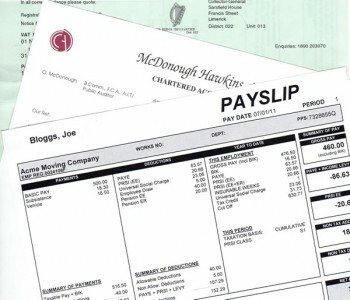 Our payroll service is as complete as our bookkeeping service. We take care of the statutory requirements relating to pay and payroll taxes from first employment to termination of employment.